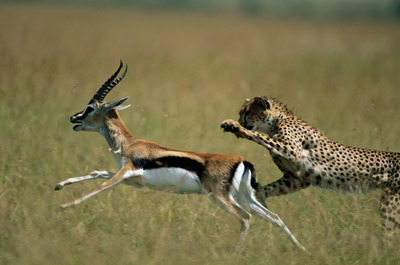 The Cheating games of Cheetahs (did you know this about cheetahs). You are all mine for lunch. With a life span of 10 to 12 years, the cheetah is basically a solitary animal. At times a male will accompany a female for a short while after mating, but most often the female is alone or with her cubs. Two to four cubs are born in a secluded place. Their eyes do not open for a week or two, and they are helpless at first. When the mother is hunting, she leaves them hidden, but by 6 weeks of age they are able to follow her. They are suckled for 2 to 3 months but begin to eat meat as early as 3 weeks. By 4 months the cheetah cub is a tawny yellow and almost completely spotted; the tail has bands of black and by adulthood a white tip. The grayish mantle disappears more slowly; the last traces are still visible when the cubs are adult-sized at 15 months. 'Just try me by getting close to my sweet cubs'. 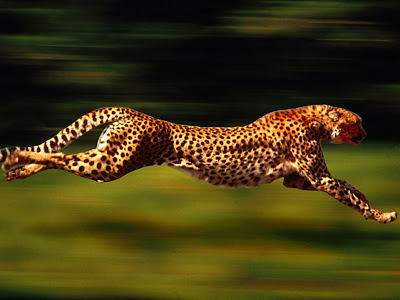 A shy creature that roams widely, the cheetah is not seen as easily as some other cats. 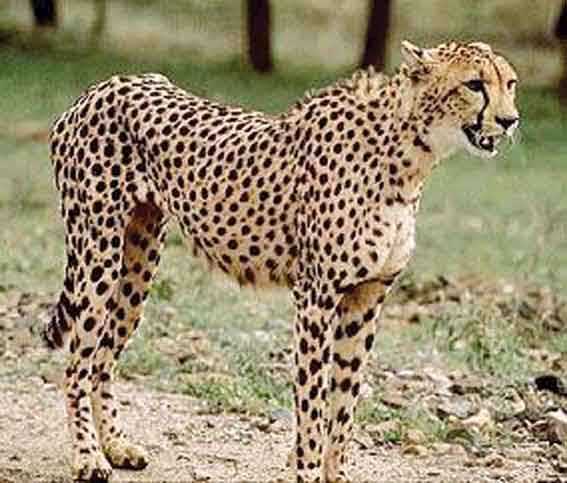 Never numerous, cheetahs have become extinct in many areas, principally due to shrinking habitat, loss of species to prey upon, disease and a high rate of cub mortality. 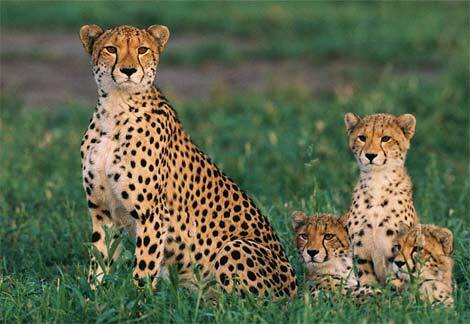 In some areas 50 to 75 percent of all cheetah cubs die before 3 months.